When you’re considering a franchise opportunity with Culver’s, it’s only natural to wonder who brings what to the table. It’s our pleasure to provide you with the information you need. 1. Where are there franchising opportunities? There are opportunities throughout our 26-state development market shown above. 2. What is the initial franchise fee? 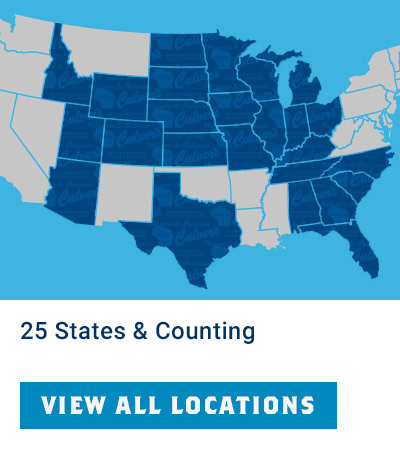 Each new franchisee currently pays an individual franchise fee of $55,000 to acquire a Culver's franchise for the basic 15-year term of the franchise agreement. If you qualify, you may renew for an additional 10 years for an individual franchise fee of $30,000. 3. What is the current royalty fee? Currently, it’s 4 percent of gross sales. 4. How much cash do I need? Together, you and any potential partners will need a minimum of $350,000 in liquid assets to qualify for ownership of a Culver’s franchise. If you prefer to own the real estate, building and equipment, you may need additional assets. 5. Am I given territorial protection? Yes, typically 3 miles, but will be less in densely populated areas. 6. Do I have to buy my equipment from Culver's? Although you will not purchase equipment directly from us, we’ll literally sit down with you and guide you through your ordering process. Proper equipment is critical to operational success. All necessary equipment will be purchased through our approved independent dealers and distributors based on specifications we provide. 7. Do I have to work in the restaurant? Yes, absolutely. Culver’s expects nothing less than full-time, hands-on engagement from our owner-operators. As an owner-operator, you’ll work in the restaurant with your team to ensure excellence in execution because that is key to delivering the hometown hospitality and delicious food Culver’s is famous for. An owner-operator must maintain at least 50 percent ownership in the business, or at least 25 percent in the business and real estate, and be involved full-time in day-to-day operations. 8. Who is responsible for advertising? 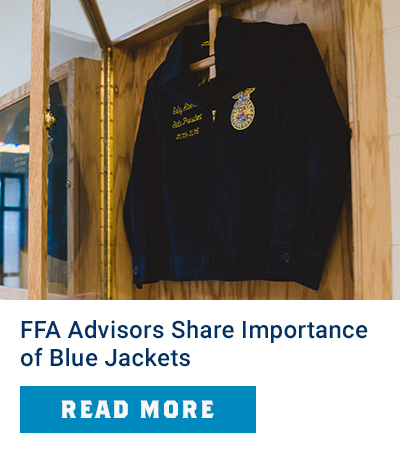 Building awareness of Culver's and its reputation is an essential ongoing effort that benefits everyone. Currently, new franchisees contribute 2.5 percent. Franchisees are also required to spend at least 1 percent of their gross sales during each calendar year on advertising and promotional activities in their local geographic area. 9. Do I receive training from Culver's? Yes. All owner-operators complete an intense 16-week training program, covering every position in the restaurant as well as how to open your restaurant. The cost of this training is already included in the initial franchise fee. Franchisees pay their own costs for transportation, lodging and meals. All training takes place in Wisconsin in one of our company-owned restaurants and at Culver's ButterBurger® University in Prairie du Sac, WI. 10. Do I receive assistance in opening my Culver's restaurant? Yes. In addition to your training program, a Culver’s opening team will travel to your restaurant and work with you for one week prior to your restaurant opening as well as up to two weeks after your restaurant is open. As a new owner-operator, you will receive unwavering assistance from Culver's franchise support team to help ensure opening your restaurant is as seamless as possible, and that every guest leaves with a smile. 11. How soon can I open my Culver’s once I have successfully completed training? Depending on the time it takes to hire a crew, we estimate that there may be as little as 3 but up to 6 months before you open your restaurant. Unfortunately, federal and state laws prevent us from suggesting how much money you can earn from operating a Culver's restaurant. The amount of money you may make will depend on many factors, including the location of your restaurant, traffic flow, local marketing and advertising, the cost of your investment and other factors. How well you manage your restaurant, control variable costs and execute your operations will correlate with how much money you can make. We do publish a Financial Performance Representation in our Franchise Disclosure Document (FDD). This Financial Performance Representation contains certain historical gross sales information for existing Culver's restaurants as well as historical gross sales and certain cost information for a limited number of Culver's or affiliate-owned restaurants. Upon receiving our FDD, please review it for complete information regarding this Financial Performance Representation. 13. 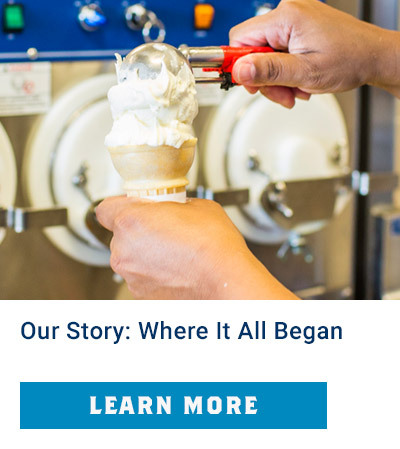 What is the Culver's Franchise Mentoring Program? Culver’s Franchise Mentoring Program offers an excellent opportunity for top performing general managers in our restaurants to take the next step and become a Culver’s owner-operator. To date, more than 100 Culver’s franchise owner-operators have taken advantage of the program to reach their goals of business ownership. Many are now multi-unit owners. Complete and submit the online Franchise Application. Upon receipt, a Culver’s Franchise Development Representative will contact you to discuss your situation and schedule a personal meeting as appropriate.